Some of the protesters at Occupy Wall Street are demanding that a college education be provided for free. But even if their request is granted, which is unlikely, it might not actually be free. The definition of "free" is straightforward enough. 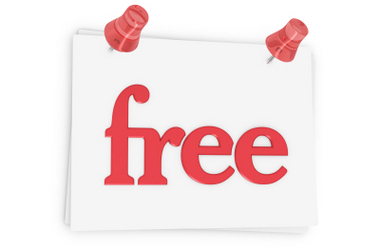 A product or service is free when it is available without any cost or charge. But marketers often distort the meaning, such as by providing a product for free only if you must buy something else first. For example, a free credit score isn't really free if you have to pay for credit monitoring to get it. A "buy one, get one free" (BOGO) promotion effectively offers a 50% discount, not a free giveaway. A TV offer for a "free product (just pay shipping and handling)" isn't really free if the company earns a profit from the shipping and handling fees. This Orwellian abuse of the English language is so pervasive that even the Federal Trade Commission (FTC) accepts a watered-down definition in its guide concerning the use of the word "free". North Carolina is the only state with a constitutional mandate to maintain college affordability and access. Article IX, Section 9 of the state constitution says "the benefits of The University of North Carolina and other public institutions of higher education, as far as practicable, be extended to the people of the State free of expense." But free apparently doesn't really mean free in practice. The board of trustees of UNC Chapel Hill voted on November 17, 2011 to raise in-state tuition by $800 next year, from $7,005 to $7796 (15.6%), and by at least $2,800 over the next five years (40%). Out-of-state tuition will increase by $1,622 from $26,830 to $28,442 (6.5%). This came after the state legislature cut state appropriations by 18%, leaving the college with little choice but to raise tuition. Still, the board of trustees justifies the tuition increases by comparison with other public colleges, even though the other states do not have a constitutional mandate to keep college costs down. Similarly, the dozen or so colleges that offer free tuition, however, aren't entirely free. Some of these colleges have hefty fees in lieu of tuition. Students still have to pay for room and board and to buy textbooks. The total cost of attendance at these colleges range from a low of about $9,000 to more than $50,000. Aside from the two colleges that charge more than $50,000 a year, the rest do indeed charge less than most colleges, yielding debt at graduation that is significantly below national averages. But still, it is amazing that two of the most expensive colleges in the country promote themselves by offering free tuition.